Norah Jones, the talented singer, songwriter and pianist, who has won over the world with her signature style, unveils her new album, Not Too Late. This is her third outing for Blue Note Records. The album is a 13-track gem that features, for the first time, Jones singing a full assortment of her own compositions that plumb the depths of emotion with subtle levity and probe the mind-set of living in a troubled world. The album was produced by Norah's longtime songwriting partner and bassist Lee Alexander in their home studio and spotlights some familiar faces from Norah's band including guitarist Adam Levy, vocalist Daru Oda and drummer Andy Borger. Jones burst upon the pop music world with her auspicious debut, Come Away With Me. No one could have anticipated how much the then-22-year-old's sultry and alluring music that melded jazz, country, blues and folk would resonate around the globe. The album swept the Grammy Awards in 2003 and established Jones as a star destined for a long career of pop music artistry. She proved to be an original with a singular voice that's fragile, inviting and bittersweet with equal measures of wistfulness and reverie. Two years later Norah Jones returns to the heartfelt on the eagerly anticipated Feels Like Home. And now her fans can again enjoy the new creation Not Too Late. While Jones was touring in 2004 and 2005, she brought along an acoustic guitar, upon which she wrote most of her songs, including Until the End, conceived on an island in the South Pacific on a rainy day during a tour break, and the ballad Rosie's Lullaby penned in Australia. She also plays acoustic guitar on Wake Me Up, a slow and touching number that features Alexander's lap steel cries. Six of the songs written on the road are on Not Too Late, while others were written at home. For example the lightly melodic Not My Friend came to Jones after she watched a movie in bed. Be My Somebody, a mid-tempo tune that broke through a writer's block while she was home alone for a stretch while Alexander was away producing Amos Lee's debut album. On the album we can also find some love songs, for example, on Wish I Could, there's a reference to a former lover sent off to war. Sinkin' Soon, the most unusual and fun piece on the CD, was composed by Alexander with her supplying the bridge. Two numbers on Not Too Late hark back to Jones' early writing life. The Wurlitzer-vibed, sweet-beauty Thinking About You was written in 1999 with Ilhan Ersahin of Wax Poetics when she was playing with the band. Another oldie from Jones' notebook is the short, whimsical ditty, Little Room, written before the first album when she was living in a "teensy" East Village studio with bars on the only window. Not Too Late displays a self-assured maturity, with songs that range in tempo and style while also maintaining the fundamental signature of her heartfelt delivery. The 27-year-old Jones is definerly grown as a songwriter. The songs from her previous albums were a bit elementary, but these new songs are a little more complex. Some of them are dark and cynical, but there's also a sense of hope. That's why the album is named Not Too Late. Norah Jones wanted to send the positive message. Norah transcends boundaries just as it does musical genres. Her pleasant voice brings to life these songs that will be listened to for generations. Special guests: vocalists M. Ward and Richard Julian, guitarists Jesse Harris, Tony Scherr, Kevin Breit and Robbie McIntosh, organist Larry Goldings, saxophonist Bill McHenry, cellist Julia Kent and cellist Jeffrey Zeigler of the Kronos Quartet helped Norah to make the album interesting in sound. 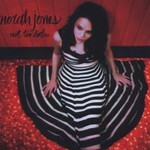 Not Too Late strikingly stands as the next step in the artistic evolution of Norah Jones. With it, she has defied the flash-in-the-pan fortune of so many of her chart peers, who are here today and gone tomorrow. Jones is here to stay, and Not Too Late is further proof of the greening of her career.